[T]wo days before He died, Jesus gave His closest followers a clear forecast of what was coming. 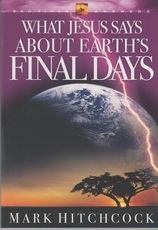 Join Mark Hitchcock and listen to the Master's voice concerning earth's final days. His words will comfort you. His words will challenge you. His words will call you to live each day in light of His coming.